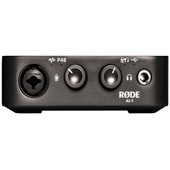 Røde Microphones is a uniquely Australian owned and operated audio company. Based in Sydney, just 20km west of Sydney's downtown area and right near the home of the Sydney 2000 Olympics. Comprised of three warehouses with a total footprint of over 110,000 square feet, the RØDE state-of-the-art plant has over 60 million dollars in precision machinery and an international team of more than 250 people across highly skilled disciplines: electrical engineering, industrial design, technical engineering, metal production, toolmaking, logistics, assembly, quality control, finance, marketing and sales. As well as the main campus in Sydney, Rode have offices in Los Angeles, New York, London, Hong Kong, Shenzhen and Seoul; with a Tokyo office due to open later in 2017. The extensive distributor and 4000-strong dealer network ensures RØDE Microphones are sold in 113 countries – and growing – making RØDE a truly global company. 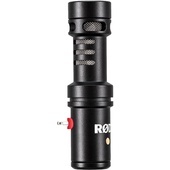 Originally released by Røde in 2004 the Rode videomic range has become one of top selling categories of mics for DSLR film makers. 2017 marks the 50th anniversary of the parent company Freedman Electronics’.